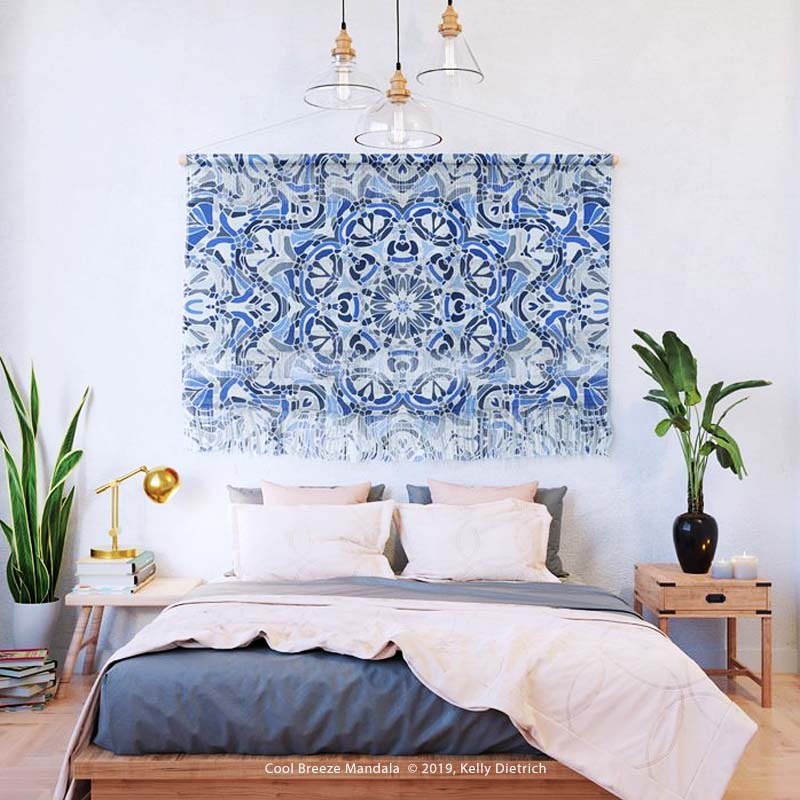 This week’s featured mandala is Cool Breeze Mandala shown above as an acrylic glass art print from Curioos — a modern mandala design in cool shades of blue, white, and light grey. As always, if you’d like to see all of the products available with this design, please click on the following retailers’ sites: Curioos | RedBubble | Society6 And be sure to check back next week for a brand new featured design. In the new work spotlight this week: miniature - sized framed art prints from Society6. 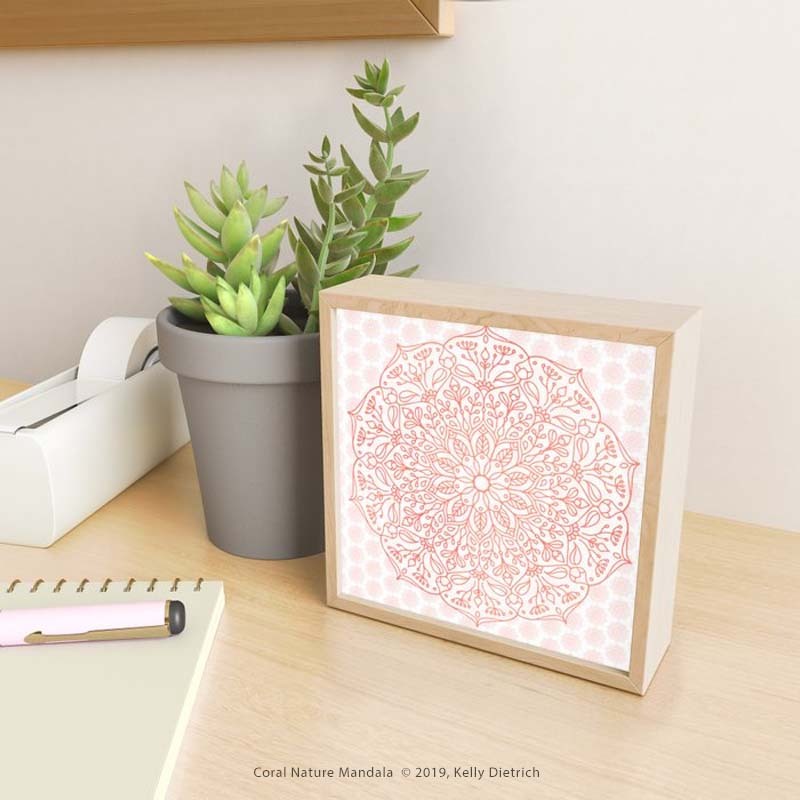 These super cute mini prints are 4” x 4” and are great to place in little nooks that need some love, in gaps on a gallery wall, or to sit on your desk or nightstand. They’re small enough to fit just about anywhere, but big enough to add a pop of color just where it’s needed. Shown above: some of my latest bold and bright mandalas — new this spring. 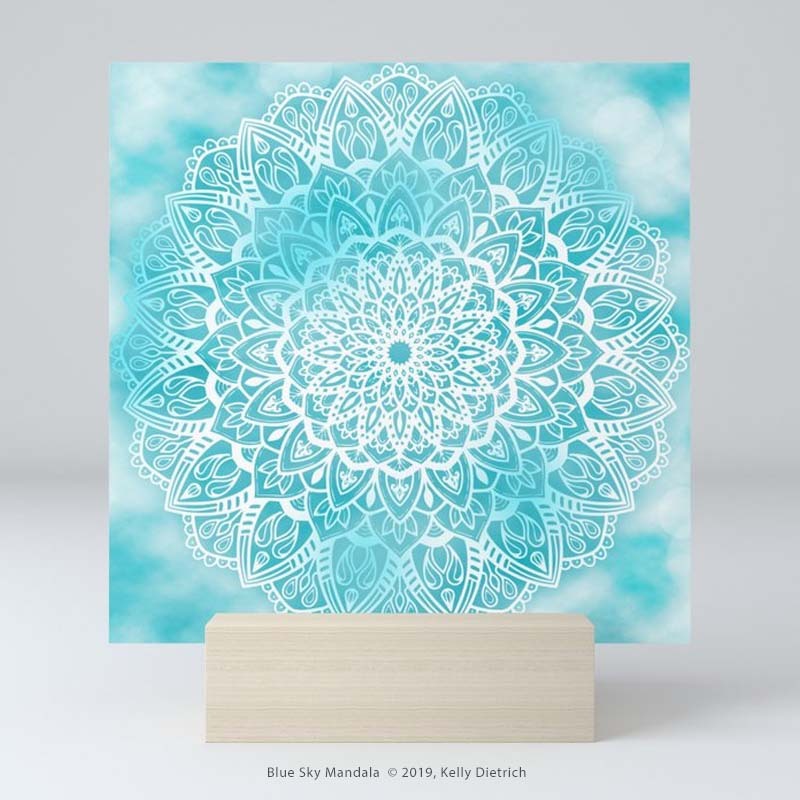 These mini art prints are also available unframed with a small wood stand, seen below: Blue Sky Mandala Mini Art Print. I’ve been playing around a lot lately with creating geometric mandalas. 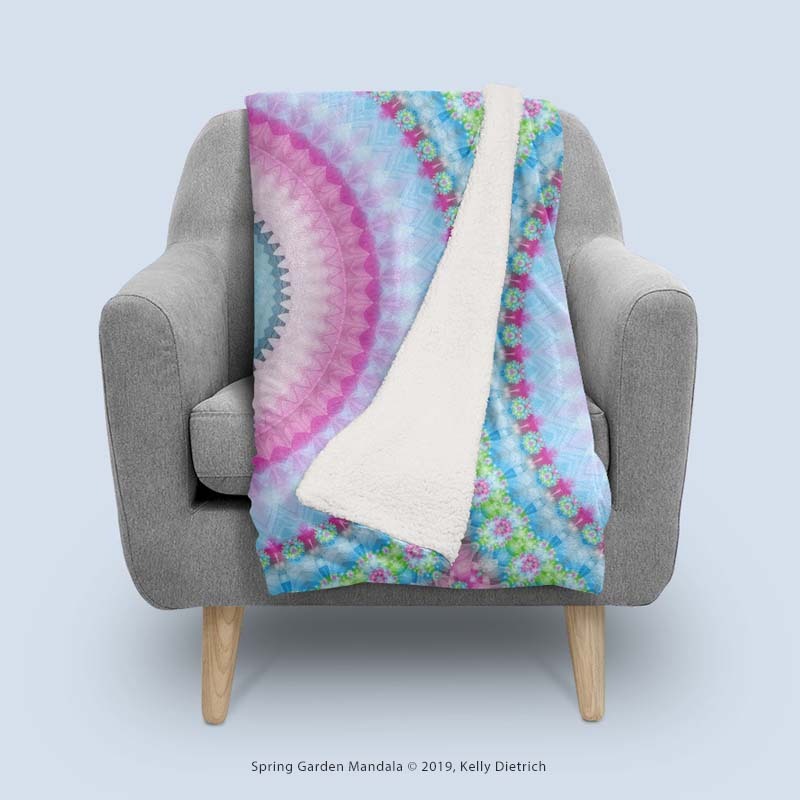 So, the new work featured in this week’s spotlight is the third of the Remix Mandala Series, Remix Colorful Square Mandala 03, shown here in the contrast tank top from RedBubble. I’ve really enjoyed creating this mandala series because it’s so different from most of the mandalas I create (it’s always good to try new things!). With no real fractal structure seen in these mandala, the series celebrates blocky patterns and vibrant colors, giving them a modern vibe. 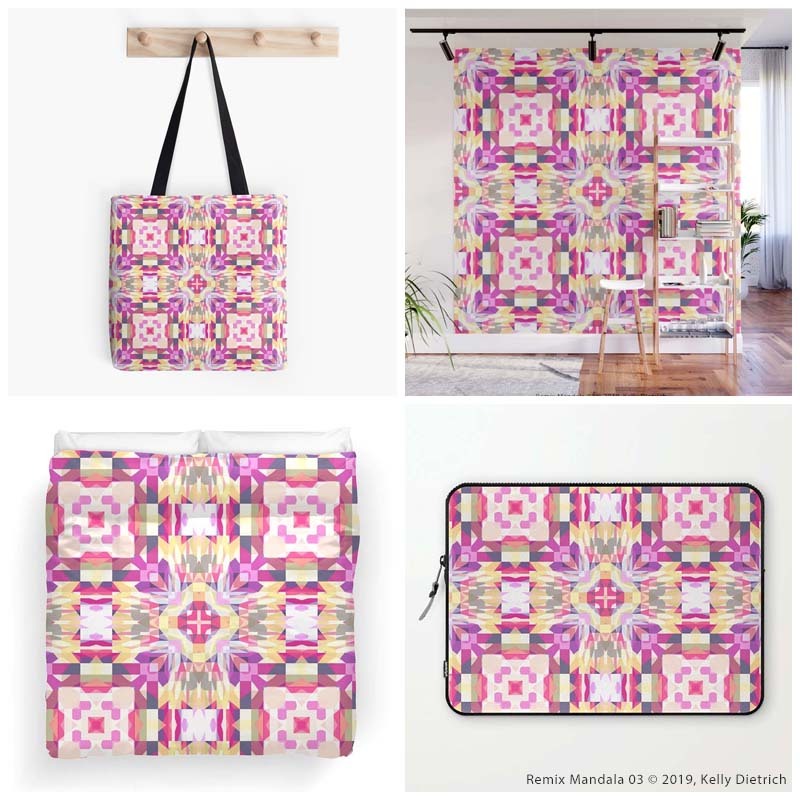 The Remix Mandala Series products can be found on Curioos | RedBubble | Society6 online shops, but here’s a brief look at a handful of items before you click through. Products listed clockwise from top left: tote bag available at RedBubble, wall mural from Society6, laptop sleeve from Society6, and king size duvet cover from RedBubble. 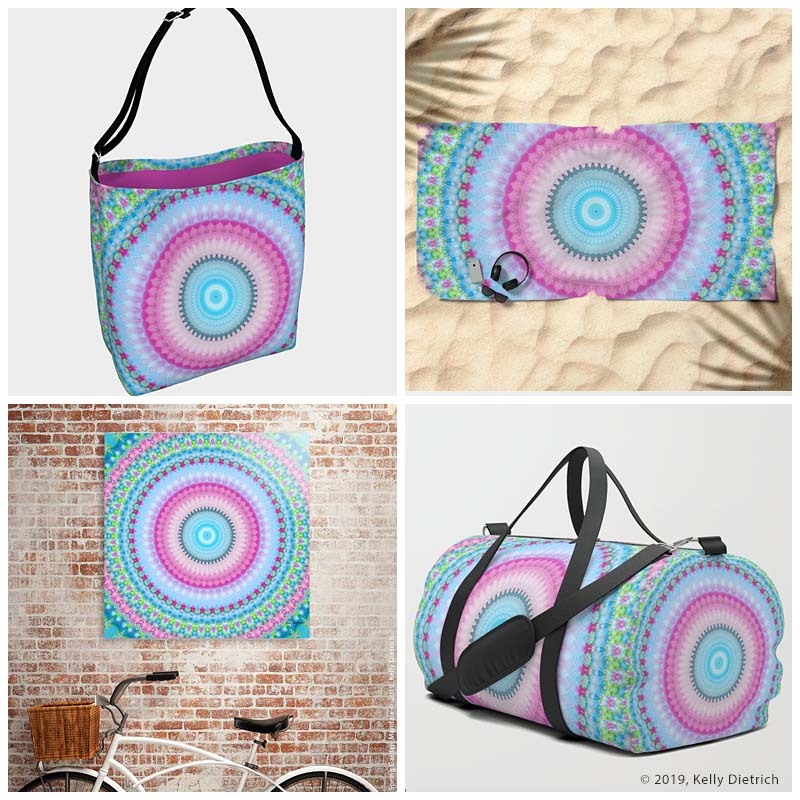 Products clockwise from top left: Dreamy Grey & Blue Mandala acrylic print available at Curioos, Women’s All Over Print T-shirt available at Curioos, 26” Throw Pillows from RedBubble, and Round Side Table available at Society6. Be sure to check back next week to see another new mandala design.